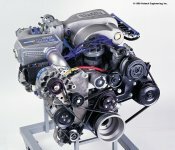 Hardware Kit For 2009 Ford Mustang GT  : Supercharger Superstore, Your Online Source for Vortech Superchargers, Paxton Superchargers, Procharger Superchargers, Magnacharger Superchargers and Techco Superchargers! This kit is required when installing the new Edelbrock E-Force Supercharger Kits #1580 and #1585 in a 2009 Ford Mustang GT. 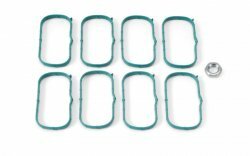 Includes new intake gaskets and all the necessary hardware for 2009 specific installation.